feminist, Gender, Gender stereotypes, girls, Ms.
Around this time last year I was introduced to a bright young journalist who was embarking on writing a book on what I judged to be a very exciting and much needed topic; a modern girls’ guide to feminism. The definitive Ms Ellie Levenson, whose name remains as thus despite getting married this year, this week celebrated launching her book titled ‘The Noughtie Girl’s Guide to Feminism’. Complete with badges announcing ‘I’m a noughties girl’. 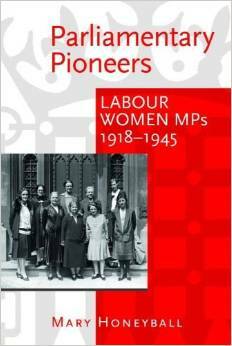 I now ordered a copy of this book and I’m looking forward to reading it, following which I will publish a book review of it on my blog. Having spoken to Ellie about her book over a year ago, I have high hopes that it’s going to provide me with a lot of food for thought. Ellie’s articles for the Guardian’s women’s section, and regular comment pieces for the Independent, make top reads and have started to set the agenda in terms of modern feminist discussion. The often taboo topic of Female Genital Mutilation (FGM) was raised sensitively in the media last month. I am proud that the UK is leading the way in Europe by assisting victims of this savage crime quickly and confidently via advertising a targeted NHS service to reverse female circumcision. In the European Parliament one of the changes in attitude that the Daphne fund (one of the EU’s prime sources of funding for awareness-raising, prevention and protection of victims of FGM) sought to achieve is an end to the grimly scandal mongering tones occasionally struck by media’s coverage of FGM. Such tones often only serve to make affected women feel guilty, hence wounding them psychologically and increasing their sense of being an outsider. I think it is an outrage that, despite 25 years of legislation, not a single person has faced prosecution for the barbarous act of female circumcision, which claims the well-being of approximately 500 girls a year in Britain. At the end of last month I supported a resolution, put forward in the European Parliament Women’s Committee, to make all EU Member States enforce their existing laws on FGM and introduce new tough measures to stamp out cultural tolerance of this practice. Locally everyone can make a difference by helping to integrate immigrant families more successfully. Female genital mutilation is carried out in accordance with tradition in certain communities in the UK. These traditions come from other parts of the world and flourish in other European countries. There therefore needs to be a massive global effort to break through these barriers and protect girls from this barbaric practice. The site aims to teach children about farming in the Europe. Sadly it completely ruins any good work it does by using an image of an unhealthily thin and provocatively dressed young girl to guide users through the site. I find it both shocking and depressing that the Commission’s Department for Health and Consumer Protection finds it acceptable to promote their work by using this image. Not only is it a horrific gender stereotype but it is also an extremely unhealthy image to promote to children. In the recent gender stereotyping report passed by Parliament, my colleagues and I noted that children are particularly impressionable audiences and that promoting unhealthy and unrealistic body images can negatively affect young viewers’ self-perception. The DG Health evidently was not listening. I have written a priority question to the Commission asking them what they were thinking of when they made this site and how much it cost to develop. I am also currently rallying support in the Women’s Rights and Gender Equality Committee to take further action. 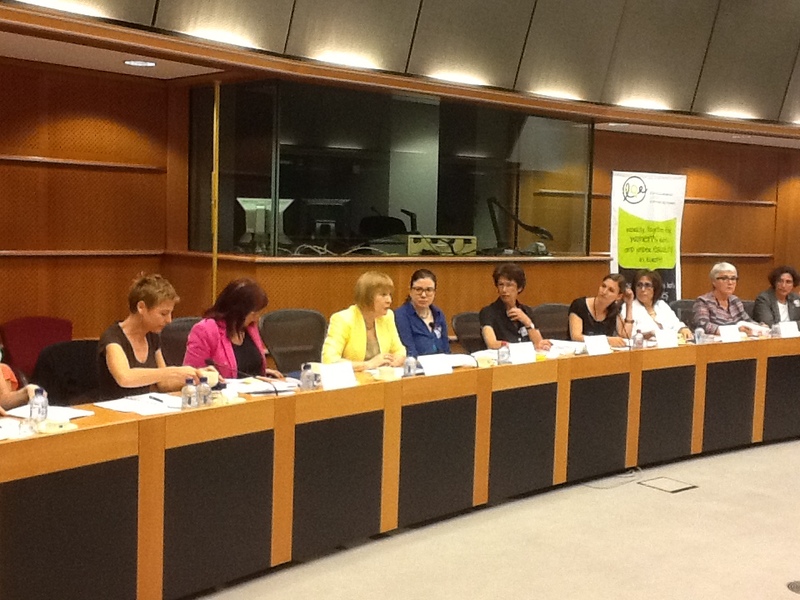 Yesterday the Parliament hosted a conference on breaking gender stereotypes in small and medium-sized businesses. It brought together female and male entrepreneurs from across Europe to debate and share best practice on how to overcome sexist stereotypes in business. Such discussions are vital for several reasons. They aim to make the work place fairer for all employees, encouraging people to be recognised for the skills they bring to a business rather than just for their gender. But this conference was also organised in order to help SMEs increase their productivity. It is essential that, especially during an economic downturn, the EU supports its smaller businesses. And smaller businesses can only truly maximise their resources if they allow their staff to flourish with supportive work-life measures for women and men and with equal opportunities for all. For me, this conference is what Europe is all about: bringing together different national experiences to forge progress across the continent. Notions of ‘intercultural dialogue’ and other EU projects can sometimes seem unconnected with the everyday life of Europe’s citizens. But here is an example of exactly that dialogue in action. It will have a dramatic impact on citizens if it means that work places become fairer and more flexible for both men and women. Of course, I can never understand why the Tories are so dogmatically eurosceptic. Perhaps if they had attended this excellent meeting they would have seen just how much Britain stands to lose if the Tories take us further away from Europe. A report on how marketing and advertising affect equality between women and men has just been passed by the European Parliament Women’ Rights Committee. It is an important document, highlighting how advertising fuels and highlights inequalities based on gender. Since advertising is designed to influence us, its impact on sexual equality cannot be underestimated. The report drew heavily on research conducted in Germany by the European Association of Craft, Small and Medium-Sized Enterprises and the Ministry of Labour in Poland. which showed that gender stereotypes consolidate narrow gender roles, thus restricting life opportunities. I put down amendments to the report on body image, drawing attention to a publication by the British Medical Association entitled “Eating Disorders, Body Image and the Media” which states that media portrayals of the ideal body image can adversely affect the self esteem of women, particularly teenagers and those susceptible to eating disorders. One of my amendments called on advertisers to consider their use of extremely thin women more carefully while another pointed out that advertising could be a strong tool in challenging and tackling stereotypes. I also submitted an amendment expressing extreme concern at the advertising of sexual services in local newspapers and other publications, something I know Harriet Harman, Barbara Follett, Fiona Mactaggart and other sisters in the House of Commons are taking up. All my amendments were passed by the Women’s Committee and will now be voted on by the whole European Parliament. Today I have had an article published on the Guardian website about the gender pay-gap which has stirred up a lot of controversy. Many commentators say that the feminist fight has been won and that sexism in the work place no longer exists but reading some of the comments I have received it is very obvious that this is not the case. It is perfectly obvious that this is fight that is not even close to being won. I will be thinking hard about the comments I’ve received today, from all sides of the argument, and will be writing about this again in the very near future. After the European elections in June next year there will be some amendments to the way the European Union works. Yes, you’ve got it. I’m talking about the Lisbon Treaty. Two important posts need to be filled after June 2009, assuming all Member States ratify the Treaty. One is the President of the Council of Ministers who will serve for two and a half years as opposed to the current six-month rotating presidency. The other is a new leadership position in external affairs combining the roles of the present Council High Representative and the External Affairs Commissioner. Both these reforms are highly sensible. It’s not the reforms which are the problem. It’s not even the candidates who are being put forward for the posts. The real issue is the lack of women. Despite the excellent representation of women in the European Parliament, currently standing at one third of the members, it seems impossible to get women into senior positions in the Commission and to a lesser extent the Council. There really is no excuse for such gender imbalance.